Looking for a good place to find vintage swimsuits in Santa Rosa CA? Hot Couture is the place to go! We don’t sell recreations or vintage-style garments, we sell authentic vintage bathing suits. These are timeless styles that are often heavily borrowed from in modern styles, but there’s nothing quite like the real thing. Many vintage garments are handmade or created with more attention to detail, which makes them more durable. They also fit differently than modern alternatives, making them ideal for certain body types. 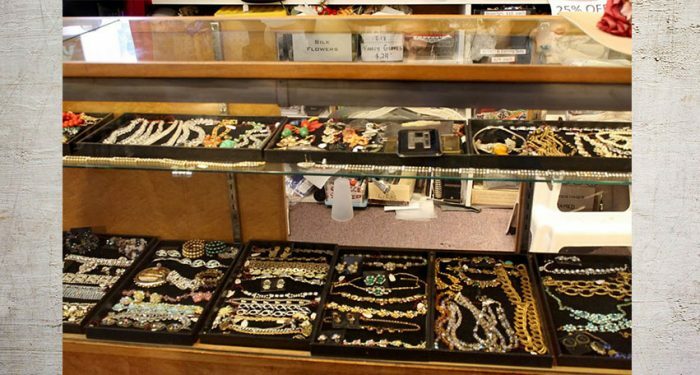 There’s something for everyone at our vintage clothing store! 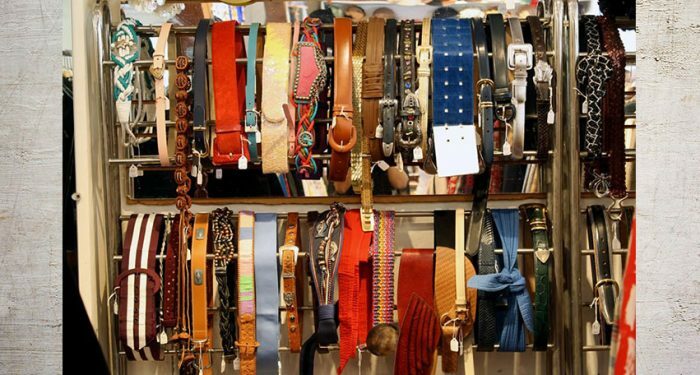 Marta, our owner, has been in the business of buying and selling vintage clothing for more than 40 years. She began her vintage journey in Texas with San Antonio Rose-Vintage and Unusual Clothes, and from there she moved on the wholesale route through Colorado, New Mexico, and California. 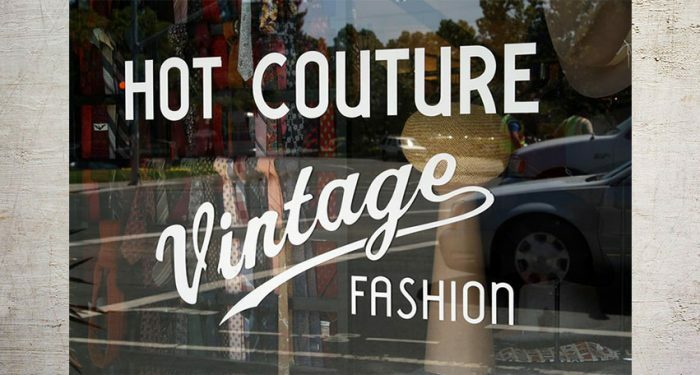 In 1976, she found her home in Santa Rosa, where she opened Hot Couture in 1983. It’s been in the same historic Railroad Square location ever since, where she has steadily amassed a diverse collection of vintage clothing over the past 35 years. The vintage swimsuits available in our Santa Rosa store range in color and style, from 1950s halter one-pieces to 1970s macramé bikinis. At the height of summer, we have several of them on display on the floor, but even when they’re not out, we still have them available. Our on-floor inventory rotates regularly with the current season, so if you can’t find exactly what you’re looking for, all you have to do is ask. Odds are good we have something you’ll like in our stored collection! Vintage bathing suits come in styles that will appeal to just about everyone. Choosing a vintage swimsuit to wear to your next Santa Rosa pool party or river visit will be well worth it – you’ll be the most stylish person there! 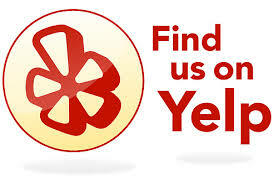 Need more reason to stop by and see us? 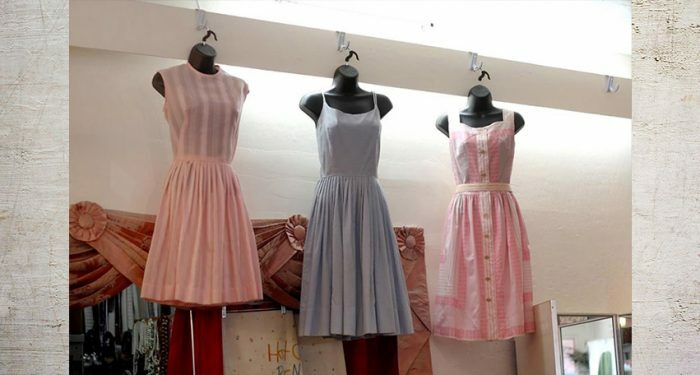 We sell vintage dresses, jackets, skirts, pants, shoes, accessories and more. We work hard to keep our prices affordable, with most dresses priced at $40-$80.